WELCOME TO MUMINAH FASHION ISLAMIC GIFTS STORE. 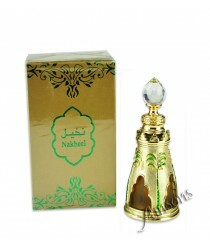 ALHAMDULILLAH, WE HAVE PUT THE MAGIC AND EXCITEMENT BACK INTO ISLAMIC GIFTS AND HOME-WARE SHOPPING WITH THE MOST COMPREHENSIVE RANGE OF BEAUTIFUL AND INSPIRATIONAL ISLAMIC PRODUCTS BOTH IN STORE AND ONLINE. WHETHER YOU ARE LOOKING FOR A BABY GIFT, A WEDDING GIFT, AN ANNIVERSARY GIFT, A BIRTHDAY GIFT OR SIMPLY SOMETHING SPECIAL FOR A LOVED ONE, MUMINAH FASHION HAS A WIDE RANGE OF ISLAMIC GIFTS FOR EVERYONE - ALL EXCLUSIVELY SOURCED FROM AROUND THE WORLD WITH PRICES THAT SO REASONABLE AND QUALITY THAT IS SECOND TO NONE. SO, WHETHER YOU ARE LOOKING FOR SOMETHING SPECIAL, OR JUST BROWSING, AT MUMINAH FASHION, WE HAVE SOMETHING SPECIAL FOR EVERYONE AND FOR EVERY OCCASION YOU CAN RELY ON US. 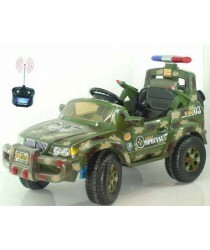 PLEASE CLICK ON ANY OF THE LINKS BELOW IN THE BOX TO FIND THE GIFT YOU ARE LOOKING FOR. IF YOU WISH TO ORDER A PARTICULAR ISLAMIC GIFT AND CAN NOT FIND IT ON OUR SITE, THEN PLEASE CONTACT US AT: INFO@an-nur.co.uk AND WE WILL BE MORE THAN HAPPY TO HELP. 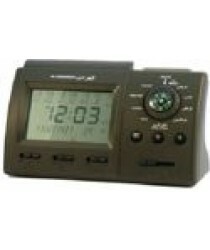 Digital Azaan ClockNew Stock *** Latest 2015 Version***Please click here for list of cities and.. 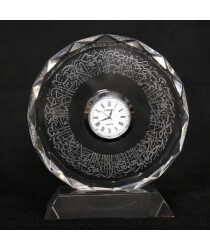 Crystal Round Clock with Ayat ul KursiAn attractive crystal with Ayat ul Kursi etched directly onto ..